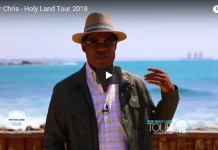 Devout Christian and founder of LoveWorld Incorporation, Pastor Chris Oyakhilome is currently partaking in his much-anticipated Bible Tour across Israel. The trip has been specifically organized to coincide with Jerusalem Day, which honors the reunification of Jerusalem, the capital of Israel. The Pastor also organized the trip to coincide with the official move of the US Embassy to Jerusalem, which represents the strong relationship between the US and Israel. This declaration was facilitated by President Donald Trump, a proud supporter of the Evangelical community. Pastor Chris takes note of the importance of recognizing Israel as a historic and biblical country that has a deep connection to Christians and Jews. 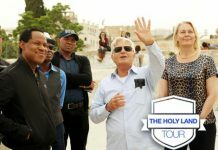 As mentioned above, the purpose of the tour was to connect Christians to the biblical land and to reaffirm their love of the Land. 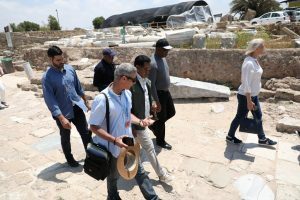 It was important to Pastor Chris to visit all the important and well-known religious sites around the country because of their significance to Christians and Jews. Not only did the Pastor place an emphasis on Israel, but he recognized the importance of certain sites in Jordan, such as Petra, and made arrangements to visit as well. 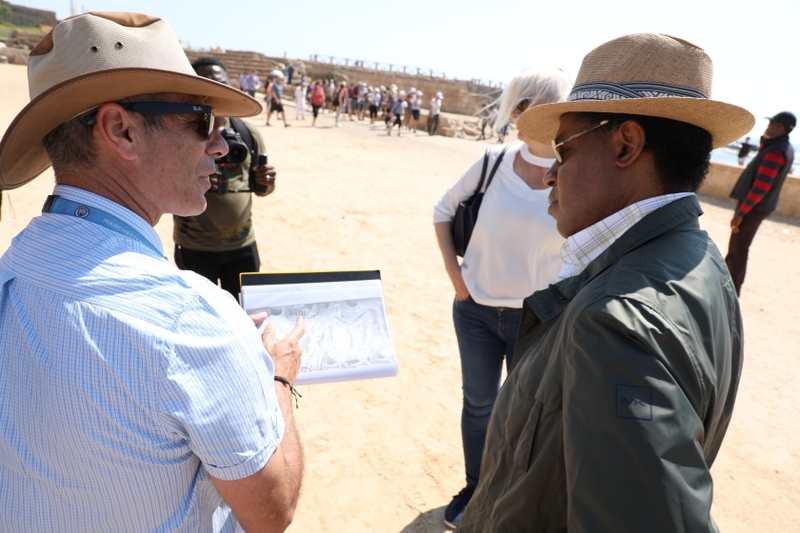 The Christ Embassy delegation began their day by traveling to Jordan, from Jerusalem, where they began by visiting Bethany Beyond the Jordan. This is the exact location where John the Baptist preached and baptized Jesus. The location of Bethany is on the eastern bank of the Jordan River. Additionally, it is the location where Elijah was taken up to heaven by chariots filled with fire, as stated in Kings. It has been reported that the delegation was taken aback by the historical value of the location and felt their spirit rise as they stood and looked over the land. Bethany is also known for the Byzantine and Roman artifacts, churches, and caves. The location is rich in Christian history and it was an incredible opportunity to visit. The delegation also found time to visit Mount Nebo, where Moses was given a view of the Promised Land. Christian sources believe that this was the precise point where he was buried as well. Following the visit, the delegation enjoyed a lunch in Madaba. Throughout the visit, another one of the Christ Embassy groups visited Banias National Park, located near the Golan Heights in Israel, which is where Peter accepted that Jesus was Christ. Furthermore, Pastor Chris made an unexpected visit to Caesarea. The Christ Embassy delegation reported that the day was filled with knowledge and excitement. Pastor Chris was fortunate enough to give this opportunity to his delegation and join them on this Bible Tour. The hundreds of members who joined him only magnified the experience evermore for him, and for everyone else. For more pictures and videos, visit https://bit.ly/2I6BcRX and https://bit.ly/2rbI7UJ. The Christ Embassy community is also pleased to announce that they will be broadcasting a LIVE ministration on Tuesday at 8 PM Israel time, 7 PM Johannesburg time, 6 PM Nigerian time, and 12 PM Houston time.